Achieving our Mission depends on having engaged associates across the company. We strive to nurture a culture of trust, mutual respect, and an entrepreneurial commitment to our Mission. 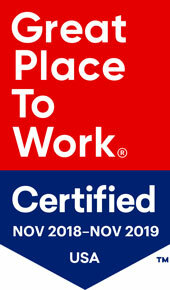 Blick works to foster an environment where associates enjoy the same respect and care we have provided to our customers for more than 100 years. Exceptional Teamwork: Our Mission is dependent on supporting each other with the same passion that we exhibit to our customers. Trust, mutual accountability, and respect are the foundation of how we work with one another, just as they are key to creating superior customer experiences. Boundless Curiosity: We have an obligation to ask questions and seek answers. Policies that do not serve customers or associates properly should be challenged. The principle of Curiosity requires that we ask why, as opposed to accepting an incomplete understanding. Utmost Care: We aspire to address customer and associate questions completely and with reasonable explanations. It takes Care to do research, and patience to explain the underlying reasons. There will never be complete consensus about decisions or policies, but there must be understanding. As a business, we are always adapting to changing conditions. Our unique expression of Care enables positive, timely change. Supporting Art: Ultimately, we are about supporting the creation of Art. Because the Visual Art Community is often less recognized than it should be, our associates take pleasure in providing meaningful support for art and art education. At Blick Art Materials we're determined to make the customer experience easy, enjoyable, and productive. Our customer satisfaction ratings - consistently the highest in the industry - are achieved by providing the largest, most comprehensive selection of products and the highest level of customer service possible. Equally important, we monitor our prices every single day to make sure they remain competitive. Blick is proud to support the National Art Education Association, the Arts Action Fund (a non-profit organization affiliated with Americans for the Arts), the Scholastic Art & Writing Awards, the National Art Materials Trade Association, and Marwen, a non-profit dedicated to educating and inspiring under-served young people through the visual arts.